An innovative new tracked boom from Hinowa has already won its first international award. The Hinowa Lightlift 33.17 Performance IIIS, due for launch later this year, won the lifting, handling and transportation category of the Intermat Innovation Awards 2018. Hinowa was one of 13 winners out of 90 companies that entered the awards. 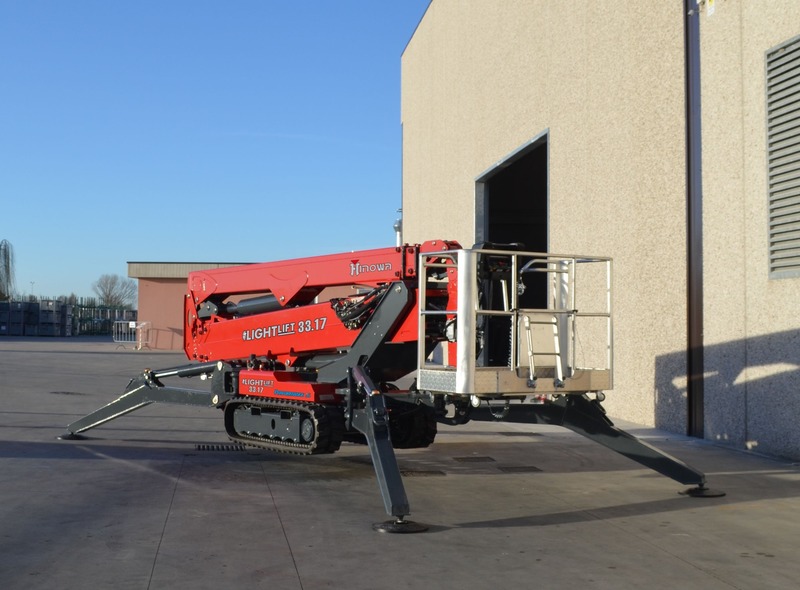 Thanks to Hinowa’s expert engineers, this innovative tracked boom will offer negative reach – the ability to reach spaces that are lower than the level of the machine’s tracks. Negative reach is ideal for tasks such as inspecting dockyards and bridges. The 7th Intermat Innovation Awards took place on January 18th at “Maison de la Mutualité”, in Paris. Other entrants in the same category as Hinowa included Etramo (Belgium), Manitou Group (France), Tadano Faun GmbH (Germany) and EPC Groupe (France). The awards aim to celebrate innovation from companies that will exhibit at Intermat Paris, which takes place from 23rd to 28th April 2018. 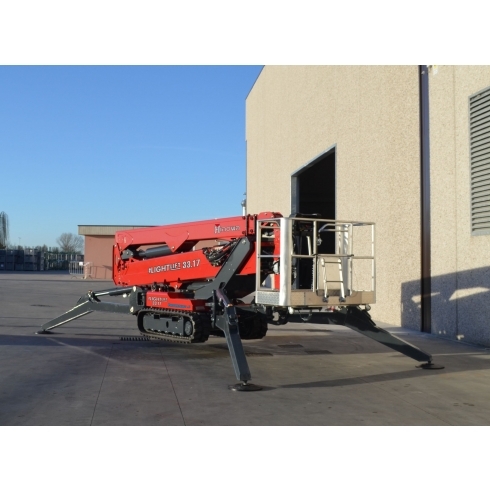 Along with the boom lift’s negative reach capability, the judging panel also praised Hinowa’s new Go Home function. At the push of a button, this automatically returns the boom to the stowed position. This substantially reduces the time spent aligning boom sections before descending - and it eliminates any possible human errors during this operation. 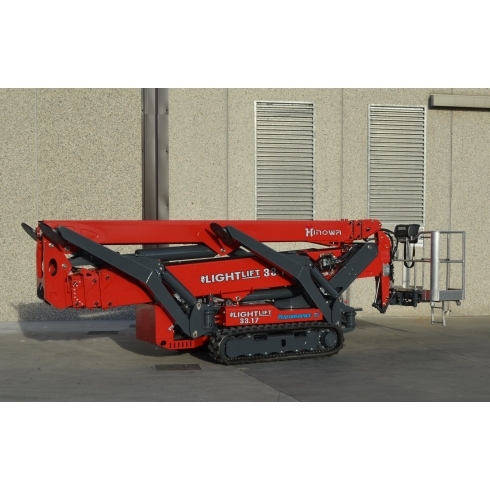 The Hinowa Lightlift 33.17 provides a maximum working height of 32.5m and horizontal outreach of up to 16.5m. The boom is comprised of a tower and three telescoping sections, a main boom and two telescoping sections, plus an articulating jib. This configuration delivers superb “up and over” access. A new jib design offers +/- 90° rotation, with basket rotation of the same capabilities for precise positioning at the work face. Hinowa has also added a wider and more comfortable basket, measuring 1.6m x 1.4m. The safe working load is 230kg, without any restrictions – sufficient for two people with tools. The machine retains Hinowa’s impressive compact dimensions, with a height of less than 2m and a length of only 6m after the basket is detached. It has a stowed width of only 1.2m. Extendable axles enhance this to 1.7m, to increase stability when traversing slopes. With these stowed dimensions, the Hinowa Lightlift 33.17 can easily pass through standard-sized doorways. It also offers a choice of full operation with the outriggers deployed at 4.2m x 4.9m, or a more compact footprint of 3m x 6m for working in tight spots. Power options include a bi-energy Kubota diesel engine D902 and electric motor; or with a 76V, 150 Ah lithium-ion battery pack. 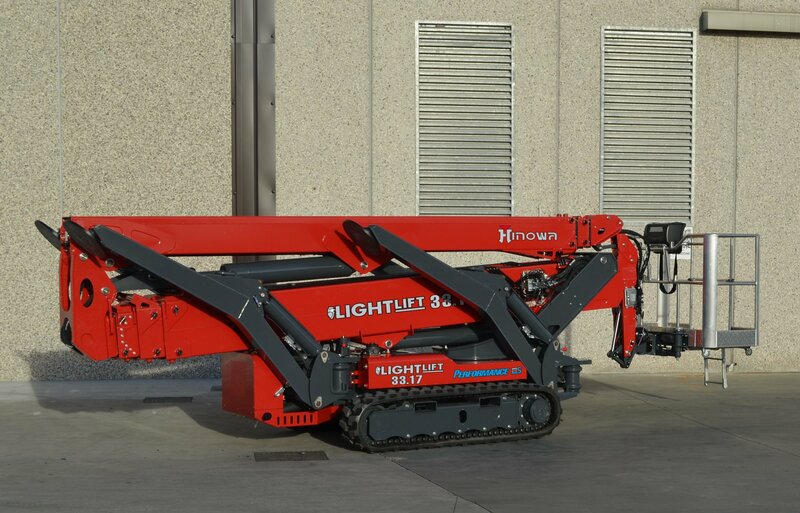 The Hinowa Lightlift 33.17 goes into production later this year and will be available from Access Platform Sales, the official UK distributor for Hinowa tracked booms.